Rise above the clutter with the perfectly sized note. 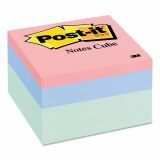 Post-it Notes Original Cubes, 3 x 3, Seafoam Wave, 490-Sheet - Note cube acts as its own dispenser, making it easy to find Post-it Notes on your desktop, near the phone or in copier area. 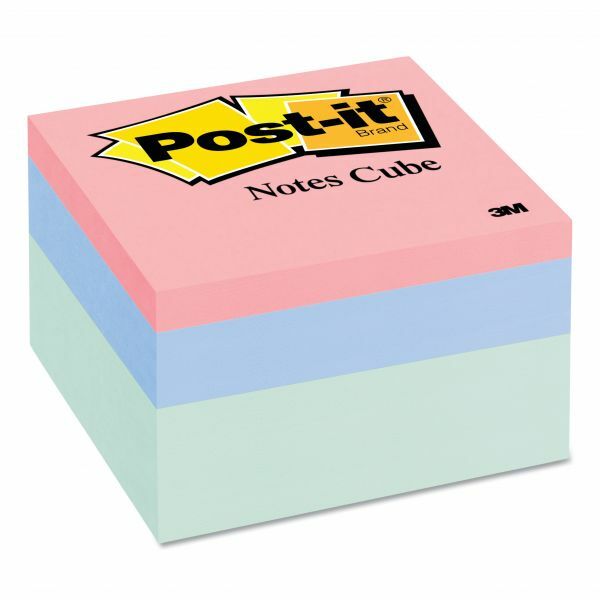 Great for jotting notes, phone numbers, email addresses or everyday reminders. Paper used comes from well-managed forests where trees are replanted. 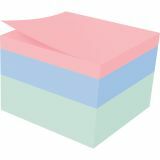 490 sheets per pad.